It is not immediately known if TCB will embark on these developments on its own or on a joint-venture basis. “The proposed location of the new resort is likely to be sited on land leased out from Lada, somewhere between The Danna Langkawi and Mutiara Burau Bay Beach Resort,” a source said. The redevelopment of Telaga Harbour, meanwhile,is said to see the construction of residential and commercial units. TCB currently owns and manages Perdana Quay, a commercial and retail property made up of some 90,000 sq ft of business space. In addition to Mutiara Burau Bay, TCB also owns luxury boutique hotel The Danna and the five-star Meritus Pelangi Beach Resort and Spa Langkawi. Medini Land Sdn Bhd, a wholly-owned subsidiary of Iskandar Investment Bhd (IIB), is teaming up with Darul Tinggi Sdn Bhd to develop a high-rise condominium project in Iskandar Malaysia with a gross development value of RM600 million. Both companies will set up a joint venture company, Distinctive Resources Sdn Bhd, which will be 80 per cent owned by Darul Tinggi and 20 per cent by Medini Land. The condominium project will be implemented in two phases. In a statement, IIB said that the construction work for phase one will start in May next year. It will involve 351 condominium units. The second phase, comprising 334 units, will take place 20 months after the completion of phase one. 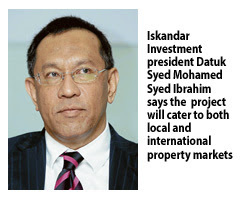 "The new residential project will cater to both local and international property markets and help spin off other projects to bring vibrancy to the vicinity," said IIB president Datuk Syed Mohamed Syed Ibrahim. In the vicinity are Legoland Malaysia and Educity, which are expected to bring about multiplier effects to other nearby projects. Darul Tinggi founder Datuk David Koh said Johor Baru is increasingly attracting property buyers due to Iskandar Malaysia. PETALING JAYA: With razor thin margins due to rising competition in the home loans market, banks are now aggressively value-adding their home loans to stay competitive and boost their market share. 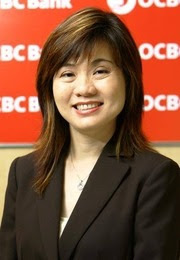 OCBC Bank (M) Bhd head of secured lending Thoo Mee Ling said banks must value-add to their generic home loan offerings in order to not just survive but thrive, especially in this competitive climate. “What separates those who thrive from the others today is how much they have moved from price to innovation. It is heartening to see a greater emphasis today on enhancements to loans products, rather than mere reliance on price cutting previously. “This is where banks are getting even more creative by adding in the necessary finer details to a product that otherwise appears bland. Home loans with features and benefits that are tailored specifically to complement customers' lifestyles often serve to compel them to look beyond price and into a more holistic perspective,'' she told StarBiz. Thoo said customers were nowlooking for more than just a home loan as purchasing a house was simply the beginning. Banks would also need to cater to their immediate follow-on needs like renovations and furnishing, for example, and this was where additional financing that came with the home loan would be helpful, she reckoned. At OCBC Bank, she said there were bespoke home loans that were tied in with study loans, renovation loans and even overseas property financing schemes, adding that each of these took into consideration things that went beyond mere property purchase. She said it was undeniable that investing in a product to bring in customers and then introduce them to other products remained a good strategy for growing the business, but banks would still need to strengthen their range of offerings to become a one-stop shop for their customers. 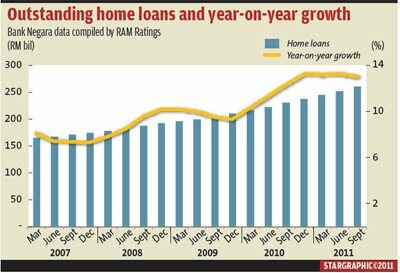 Outstanding home loans, valued at RM261bil, accounted for about 27% of the total banking system's loans as at end-September 2011. Although there has been strong expansion in home loans in the last couple of years, the proportion of home loans has been hovering at 27% in the past five years. Commenting on home loans, RAM Ratings' head of financial institution ratings Wong Yin Ching said competition among banks in the home loan market had been rife, resulting in razor thin margins in recent years. This stemmed from the homogeneity of the home loan products, whereby any innovation in product features and price competition (by lowering rates) were quickly replicated and matched by market players, she said. Wong added: “While some banks have instilled more discipline in its risk-reward pricing, aggressive pricing is still seen in the market and this is unhealthy and unsustainable in the long run. Alliance Bank Malaysia Bhd executive vice president and head of consumer banking Ronnie Lim said competitive pricing aside, Malaysian banks were now re-inventing the mortgage landscape by extending superior customer experience at every customer touch point. For the bank, he said having mortgage specialists, who also acted as advisory consultants, among others, had enabled Alliance Bank to become one of the key mortgage players in the market. He said the bank has been growing its mortgage specialists force extensively to not only engage customers effectively but also deepen its relationship with developers, lawyers and real estate agents. Lim added the bank was also able to provide fast “approval in principle” service to assist customers looking for home financing solutions to make informed decisions before committing to their choice property. For mortgage players, he said one of the key challenges was about overcoming margin compression and the bank was able to achieve this by introducing new systems and processes to help staff increase their productivity. This had since yielded results: “For the year under review, sales productivity has increased threefold compared to a year ago,” he said. KUALA LUMPUR: OCBC Bank (Malaysia) Berhad (OCBC Bank) is for the first time, offering a new mortgage loan facility, to finance the purchase of residential properties in prime sections of Sydney and Melbourne, Australia. Its Head of Consumer Financial Services, Charles Sik said the introduction of the facility, OCBC Overseas Property Financing-Australia, follows the success of a similar scheme for London properties launched six month ago. "Like the earlier scheme, customers will be able to take advantage of the fact that this is also a ringgit-based loan, hence mitigating the effects of fluctuating foreign exchange risks," he said in a statement here today. He said customers can now invest in Sydney and Melbourne properties with peace of mind, knowing their loan facility is fixed in the ringgit, mitigating forex risks. "Australian property prices are certainly on an uptrend and we think it's really a good time now to capitalise on this," he added. The scheme offers a margin of financing of up to 75 per cent and a loan tenure of up to 36 years for off-plan properties and 40 years for completed properties, or up to the time the borrows turn 70, whichever is earlier. 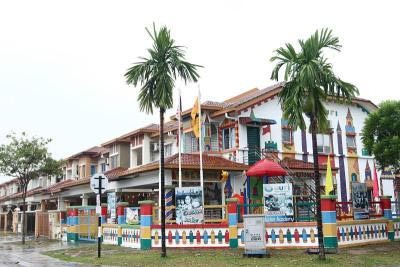 GEORGE TOWN: Tourism projects comprising six hotels in George Town and a water theme park in Teluk Bahang in Penang, with gross development value (GDV) of over RM860mil, will be operational in 2013 and 2014. IGB Corp Bhd's St Giles Hotel and Cititel Express, and NT Industrial Park (M) Sdn Bhd's five-star boutique hotel, with a combined GDV totalling over RM225mil, are the latest projects approved by the Penang Municipal Council (MPPP). Construction work for the RM100mil NT Industrial Park's project on a one-acre site at Lebuh Gereja is scheduled for completion in 2013. IGB's projects, with over RM125mil GDV, are expected to be completed in the first quarter of 2014. The other hotel projects that will be ready by late 2012 and 2013 are the RM150mil new wing of Eastern & Oriental Hotel (known as Victory Annexe), which is scheduled for opening at the end of next year, the RM285mil Rice Miller Hotel & Residences in Lebuh China which will open in 2013, and the RM83mil Mansion One Hotel at Jalan Sultan Ahmad Shah. Sim Leisure Consultant's RM120mil Escape Waterpark in Teluk Bahang is expected to begin work soon and scheduled for opening in 2013. Approved by the Penang Municipal Council (MPPP) in September 2011 and scheduled to start work in six months, the NT Industrial Park project entails the development of a five-star five-storey hotel with 85 rooms. The design takes cue from the early 20th century port office and warehouse building in George Town. Two heritage buildings on the site formerly used as offices will be preserved for adaptive commercial use to accommodate restaurants and boutiques. The hotel, yet to be named, will be ready for operations in late 2013. IGB Corp Bhd will also start the construction work soon on its St Giles Hotel and Cititel Express on a one-acre site in Jalan Magazine, the heritage city of George Town. Cititel Hotel Management Sdn Bhd managing director Datuk Eric H.K. Lim said the GDV for both hotels was over RM125mil. The hotels, which will be built back-to-back to each other, are scheduled for completion in the first quarter of 2014. St Giles would house a grand ballroom with a seating capacity of 1,200 persons, several meeting rooms, a caf swimming pool, gymnasium, health centre, executive lounge and a helipad, he said. “The development will also include retail shops, restaurants, a food court and car park bays for more than 500 vehicles. “Adjacent to the St Giles Hotel Penang will be the 260-room Cititel Express Penang,” Lim added. Asian Global Business chief executive officer Dr Noraini Abdullah said piling work was currently being done for the RM285mil Rice Miller Hotel & Residences, which comprised of a 48-suite hotel, retail space with 17,000 sq ft of lettable area, two five-storey office blocks, and 99 units of city residences. “The piling work for the hotel has been completed and we are now doing the piling for the residences. “The project will also accommodate clubhouse facilities such as a swimming pool and a gymnasium, and five restaurants catering Asian and Western cuisines. “The entire project is scheduled for completion in June 2013,” she added. The RM150mil new wing of Eastern & Oriental Hotel known as Victory Annexe, is now about 65% completed and is scheduled for opening at the end of 2012. Eastern & Oriental Hotel general manager Marco Battistotti said the new wing would add another 120 suites to the existing 100 suites of the hotel. “The new wing would also have two banquet rooms, a state-of-art gymnasium, spa, and swimming pool. “The Sarkies Restaurant at the new wing is expected to open for business next month,” Battistotti said. The RM83mil Mansion One (formerly known as Northam Tower) building at Jalan Sultan Ahmad Shah is currently being transformed into a four-star hotel with 200 rooms. Magna Putih Sdn Bhd director Adrian Tan said that the refurbishment work for Mansion One would be completed in 2013. “There would be 200 hotel rooms, all facing the sea and George Town city. “The competitive edge of Mansion One is its prestigious address and that its management would be provided by a well-known hotel chain group with strong presence in Asia and the Middle-East. “To add further value to Mansion One, the Hardwicke House, a heritage building, would be renovated to become a fine dining restaurant,” he said. Meanwhile, MPPP's technical review panel committee member Datuk Richard Jong said both the designs of the Rice Miller Hotel & Residences and the NT Industrial Park project were in line with Unesco's heritage guidelines. “The architectural theme of both projects complements the other heritage buildings in inner George Town. “Both projects should help revitalise the tourism belt of inner George Town,” he said. Sim Leisure Consultant Sdn Bhd managing director Sim Choo Kheng said the company's was mobilising to start work for the RM120mil Escape Theme Park Resort on a 44-acre site in Teluk Bahang. Sim said the first phase, comprising an adventure park and water park occupying a 17-acre land area, was due for completion in 2013. “When the remaining two phases are completed in six years, the theme park would generate economic benefits for some 6,000 people involved in the services industry and supply chain business. “We expect about 50% of our visitors to come from within the country and from the Asean region,” he said. Yeng Keng Hotel owner Datuk Ong Gim Huat said entrepreneurs should explore developing hotels with larger rooms and interesting designs to differentiate themselves. “If the land allows for a 100-room hotel, the developer should look into building a hotel with 60 to 70 rooms with innovative designs and interesting facilities. 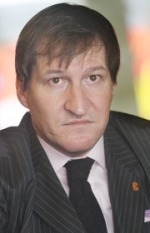 “The local authorities should not impose rules on heritage buildings to have terracotta tiles or gable roofs. “A modern building with interesting design can blend well in a heritage surrounding,” he added. Yeng Keng is a well-known heritage boutique hotel located in inner George Town. Ivory Properties Group Bhd had a record gain in Kuala Lumpur trading and Dijaya Corp rose after saying they will jointly develop a property project in Penang that may generate RM10 billion of sales. Ivory jumped 13 percent to RM1.13 at 9:06 a.m. local time. Ivory also said it plans a bonus issue and rights offer, the company said in a statement. Dijaya added 1.4 percent to RM1.41.